Following publication of the original article , the author flagged that two sets of errors had unfortunately been missed during production of the article. Firstly, in the ‘Results’ of the article’s Abstract it read “(0.02, 95% CI,0.00–0.05)”, while it should read “(0.02, 95% CI: 0.00–0.05)”. Secondly, in Table 2 of the article, in the 4th and 5th columns, it read “> 1 parent self-employed agriculture” and “> 1 parent earning wages agriculture”, respectively. However, the “>” symbol in these two columns should instead be “≥”, to signify ‘1 or more parents’, rather than ‘more than 1 parent’. Adjaye-Gbewonyo et al. 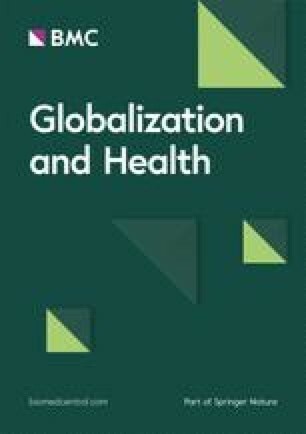 G (2019) Agricultural trade policies and child nutrition in low- and middle-income countries: a cross-national analysis (2019) 15:21 DOI: https://doi.org/10.1186/s12992-019-0463-0.